When Sergeant Makepeace (Cristine) and Staff Sergeant Makepeace (Walter) retired from the Royal Canadian Mounted Police, the community must have been extremely saddened by the exit of their two aptly named officers (because really, who wouldn’t trust a police officer whose name is ‘Make-peace’?!) In 2005, they purchased the organic farm in Cawston and moved into their new classic-style farmhouse adorned with a picturesque white verandah that oversees the trees and vines. As a certified organic farm, it seems a natural extension of the Makepeace’s legacy of community service with the RCMP. Now, they can save the world by one fruit at a time! For years, the public never got to taste the wines from the Makepeace’s vineyards. At least, not knowingly anyways. Walter, knowing nothing about making wine, sold his grapes to other wine producers in the area. 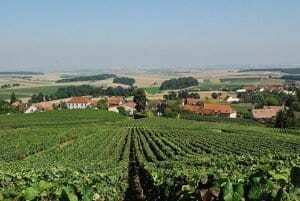 Finally, in 2011, Clos de Soleil winery honoured the couple with their name on the label of the ‘Grower’s Series Makepeace Merlot,’ a small-lot production of their premium grapes. For a couple of years, they contracted Serendipity Winery to make wines under their newly created Hugging Tree label. Meanwhile, Walter and his youngest son Brad took this time to study winemaking at Okanagan College and are now making Hugging Tree wines themselves. Hopefully the the rest of us may now get the chance at sampling their great juice. Hugging Tree Winery is in Cawston, British Columbia in the Similkameen Valley. 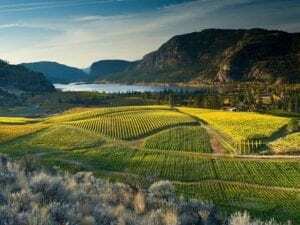 It is only a few minutes drive from both the town of Osoyoos and Washington State in one of Western Canada’s wine regions. The Similkameen is, indeed, gifted with that special sense of place. The gravelly, sandy loam subsoils are perfect for growing high quality grapes. (If you wish to read more detailed information about Similkameen soils and its relationship to high quality grape growing, click here). ‘Similkameen’ is a First Nation’s word meaning ‘the winding stream’ as the Similkameen River twists through the valley providing much needed access to water. The desert-like area has stately grand rust-red and black Ponderosa Pine trees, and sand-coloured hills and valleys set against blue, blue skies. It rarely rains here averaging only 240 cm per year. If clouds ever dare cross the sky, they are mostly of the white, fluffy variety. 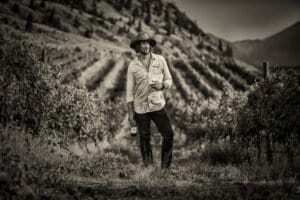 It is on the east side of the Similkameen River on gentle, west-facing slopes stretching up from Highway #3 where the Hugging Tree vineyards lay. 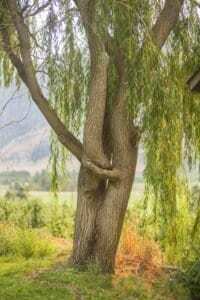 Hugging Tree name and image of two trees wrapping their arms around each other in a happy embrace is in fact a willow tree that grows on the property. 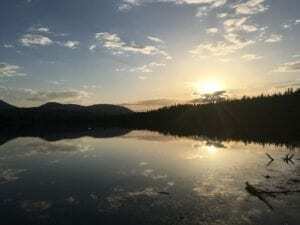 Yet it also seems a fitting nod to the legacy of this wonderful, welcoming family that includes three free-spirited children – now grown adults – Wes, Jen and Brad Makepeace. Brad has brought his own family into the business with wife, Tara and daughter Molly and young toddler, Fable. Wes and Jen, on the other hand, make for much needed hands only at certain times of the growing season and for the most part live their lives away from the farm. “It’s a good tactic that helps us maintain the family peace and equilibrium,” says Jenny Moon over our phone conversation. Tara, Brad’s wife, works in the tasting room at the farm. I first met Tara in 2015. With thick, long dark hair contrasting against her large blue eyes and round full lips and dark lipstick, she is striking! On this early summer afternoon in July 2017, her hair has light, sandy brown roots that gradually move into a blond hombre, thick and wavy. 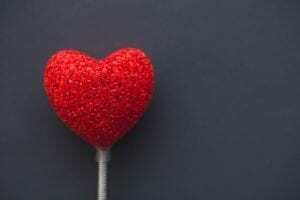 She wears just a hint of lipgloss. She pulls off both looks so well. Then there are the wines. The first time I tasted Hugging Tree, it was back when I first met Tara and Brad in 2015. They made an appointment with me at the restaurant I was working in and I tasted the wines in the cool cellar downstairs. It was a mix of wines made both through their contract with Serendipity and wines made by Brad and Walter. The wines were all solidly good. Tara and I shared the same favourite wine of the flight, the 2012 Moonchild Merlot (named after Brad’s sister, Jenny Moon). Now, two years later in the tasting room at the winery, the wines are all distinctly excellent. Brad joins us to chat a few minutes into our tasting. Tall, dark and handsome with hair that reaches just past his ears and tucked behind them. He has a beard and handlebar mustache and wears a black, sleeveless Motörhead shirt. Yet overall, Brad exudes a softness, especially in his facial features. He is the kind of person who will never trumpet his wines loudly and proudly in the way that legendary leaders like California’s Robert Mondavi has or the how the Okanagan Valley’s Anthony Von Mandl does. Instead, Brad’s persuasion is of the humble, tranquil kind – a low, even drumming that never rises in power and force, nor dims. That’s right. I promised to talk about the wines. The 2015 Viognier shows pronounced aromas of ripe peach, orange oil and lots of pretty floral accents. On the palate, it is oily textured and rich yet still finishes with bright mouthwatering length. I know that Viognier is a difficult grape to get right. It needs a long growing season in order to develop it’s characteristic violet and peach aromas. If you don’t pick it at just the right time, the acidity in the grapes will drop quickly and you will end up with a fat, blowsy wine. In this Hugging Tree Viognier, the richness of the stone fruits and fatness of the texture is balanced by the crispness of the acidity. And oh my, what length! The Viognier, Brad tells me, is grown on three different soil types. This year, Brad has picked each lot at different times – hence, the balance of rich fruit and refreshing acidty. Bravo, Brad! The Hugging Tree 2013 Cabernet Sauvignon shows that quintessential blackcurrant and blackcurrant leaf with a touch of herbaceous mint and sage – the sure sign of high quality Cabernet. An insider’s tip: Watch out for the Cabernets coming out of the Similkameen. The fruit is properly ripened here! I took home 2 bottles of the Cabernet to lock away in my cellar. Hugging Tree 2012 Moonchild Merlot – as stated above, I first tasted this in 2015 while at work. My tasting notes were disappointingly concise and noted, “…richly fruited, beautiful tingly powdery tannins. Yum!” Retasting this now, the wine has evolved, the tannins have softened and the juice shows distinctly dark plum with cocoa and a lovely green herb note. Hugging Tree Merlot 2014 – black cherry and bright red fruits combine beautifully. There’s a beautiful dustiness with violet perfume, cedar and vanilla. The alcohol is quite generous and the tannins are ripe and rounded. Don’t cellar this one! Drink it, it’s beautiful now! Hugging Tree Telltale 2014 – The Telltale is the Bordeaux blend of the line. 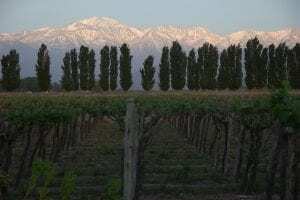 This year it has 54% Cabernet Sauvignon, 22% Cabernet Franc, 16% Petit Verdot, and 8% Malbec. I opened this too early!! In fact, if you were to look up the definition of infanticide you might see me drinking this bottle of 2014 Telltale. Forested and woody from new oak, it needs time to soften and integrate and to reveal the dark brooding fruits now hidden behind the baking spice. Tannins are youthful and beautifully grainy. The great texture is a hint at the quality here. Cellar for 2-6 years. 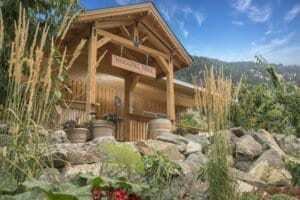 Hugging Tree Winery is certainly THE winery to watch out for in Canada’s best kept secret, the Similkameen Valley. The Similkameen Valley is a wine region in British Columbia nestled in a basin just west of the Okanagan Valley. 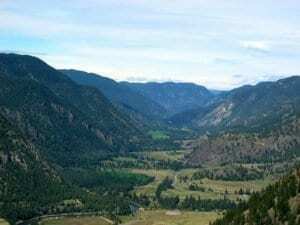 Here the hillsides reaching up from the Similkameen River have sagebrush and Ponderosa Pine trees, and orchards and vines compete for soil with oceans of dry, yellow grasses. For those of you who haven’t beheld the image of grasslands when the wind is blowing, a visit to the area is rewarded amply by that vision alone. The town of Cawston, only 16 minutes from the border with the United States, is the Organic Farm Capital of Canada and the epicenter of a cluster of high quality wines which are as gratifying as the landscape; there are many reasons to go!